as always I am in awe! I can barely manage to get my bike out of the garage yet you pop down to Portland for a beer like it was nothing. Thanks very much for the well wishes! It was an amazing ride; with the value of lessons learned. Good job! 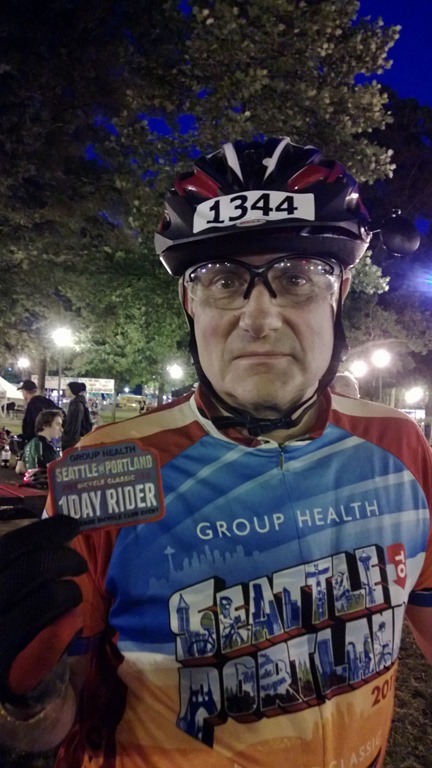 I rode the STP in one day, total moving time was just under 12 hours. This was my first time riding STP or anything this long. I found the rolling hills part to be my favorite and the slight elevation increase 20 miles prior to the mid-point. Our group had to start the hill at a stand still since the intersection turned red. The hill as what everyone claims to be steep and painful really wasn’t all that bad… Next year I would like to do it in 2 days instead of 1 just to enjoy the ride a bit more and not feel so rushed.